This is my Electro-accuostic violin which has it's own on board PA and so is an electric violin which plays as if it were accoustic, but with the advantage of volume and tone controls. 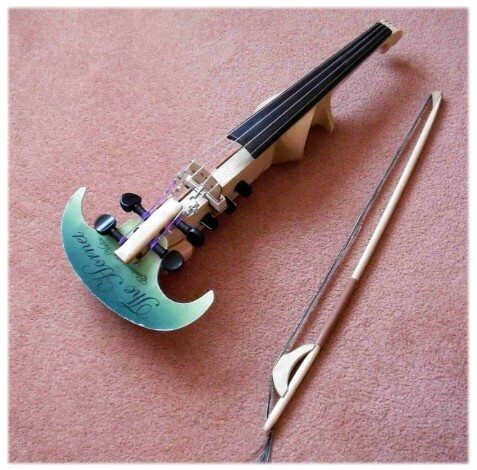 It does, of course, work as a normal electric violin through a PA system but with the advantage of it's own 'foldback' via the speaker making it easy to hear the instrument when playing in a loud band. 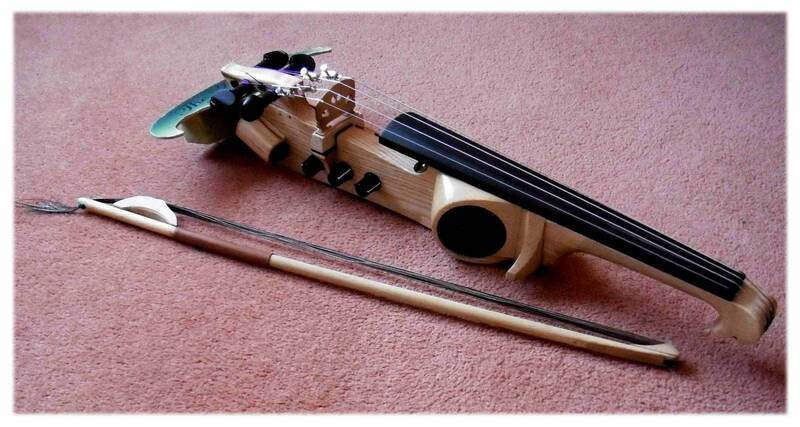 This is my 'travel fiddle' which I call "The Hornet". 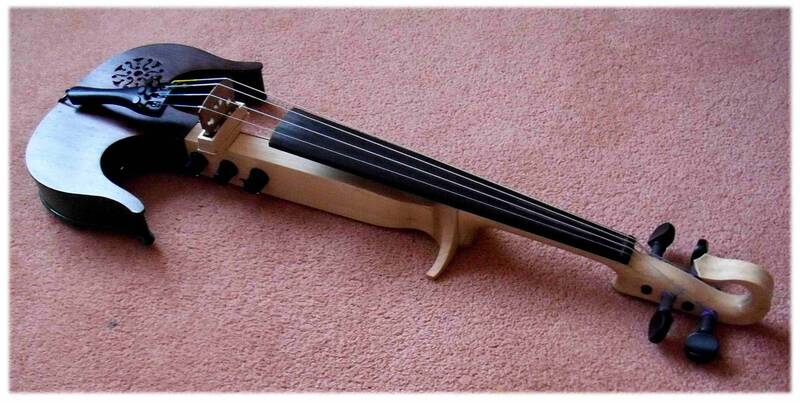 The distance from the end of the finger board to the curve at the back is the same as a full size violin, but as it has no scroll and the curved back part can be pulled off it is then very much shorter and it all stows in a small bag which can be caried over your shoulder and be easily be fitted into a suitcase. It is also small enough to be carried as hand luggage on an aircraft..
New style violin bow, easy to rehair and to re-tention. Place your hot coffee mug on the coaster and see the butterfly open it's wing and the flowers open and wave in the steam from your coffee. Can be left on a sunny window sill to open when the sun shines.